Strato-Vani and Rudy Giovannini will air a TV special on Christmas Day on Ment TV. The Belgian orchestra recorded an album of songs based on Johann Strauss melodies in 2012, and performed together in a special show recorded at the Flanders Expo in Ghent, called “Strato-Vani in Wien” (Strato-Vani in Vienna). Other guests at the show include Will Tura, Bandit and Barbara Dex. The album subsequently entered the Belgian classical charts, reaching the n° 1 position and staying in the charts for over 18 weeks. 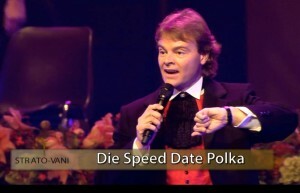 The Italian tenor Giovannini has subsequently being playing tracks from the album at his numerous shows across Germany, Austria, Switzerland and Belgium. 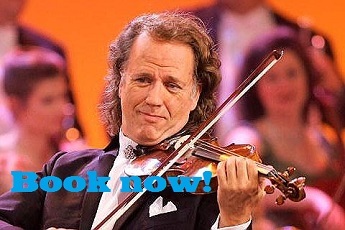 Giovannini is currently touring in Germany through December 2012 and January 2013. “Viva Strauss” contains some of the best-known Strauss melodies with totally new arrangements and lyrics by Irish lyricist Michael Leahy. The grand, sweeping melodies are used in romantic songs, whereas the polkas are used to comic effect in tracks such as “Mausi Sagt”, “Die Speed Date Polka” and “Tritsch-Tratsch”. References to Facebook and Twitter give the songs a contemporary touch. “Viva Strauss” was recorded in English and German, with English versions set for release in 2013. The TV special will also be released at a later date. More details: Strato-Vani, Rudy Giovannini and Rudy Giovannini on Viva Strauss.